This congregation, organized in 1866 as a brush arbor near Mt. 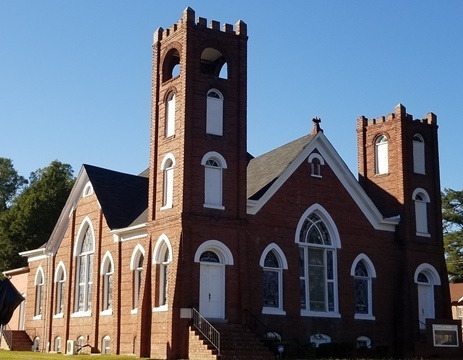 Zion Church, was one of the first African Methodist Episcopal Zion (AMEZ) churches established in South Carolina after the Civil War. The first wooden structure was built by the members in 1874. It was replaced by the current brick Romanesque Revival building under the direction of self-trained architect Fred Landers in 1913. Metropolitan is a historic property in the City of Chester Historic District. The Chester Historic District was listed on the National Register of Historic Places in 1972.